I would like to thank my dear friend Shaun, at prayingforoneday for this award. He ia an amazing person with a big heart and always ready to support and encourage. Shaun suffers from Chronic Pain and despite living in debilitating pain, continues to be a source of support and encouragement for a great many of us. Savouring the experience of quality time. Winners re-post this completely, with their acceptance speech. That could be written down or video recorded. Winners have the privilege of awarding the next awardees! 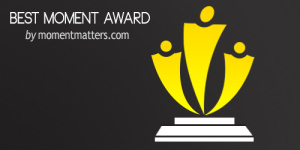 The re-post should include a NEW list of people, blogs worthy of the award, and winners notify them the great news. Gratitude. Thank the people who helped you along the way. Humour-Keep us entertained and smiling. I started blogging as a coping mechanism just after the doctors told us they could do nothing for Vic and my brave child decided “no more surgeries…” I blogged Vic’s quest to die with dignity. I now blog about my all-consuming grief and sense of loss. As a child I changed schools 12 times in total. Academically I coped by I did not cope with the emotional side of it. I allow very few people close to me. I find it hard to form bonds with people. I always expect them to leave my live – I don’t think I suffer from Rejection issues – just separation issues. It is easier to keep people at bay – If I don’t rely on people they cannot disappoint or hurt me. On WordPress I found a safe world. A world where people care and support. If they leave, as many have, it is okay because they are faceless. Yet there are people that have never wavered in their support and encouragement. My nominees are compassionate, caring people who all suffer their own pain and loss. Please visit their blogs and I promise you will find goodness and bravery there! Thank you all for allowing me to heal here. Vic, this award is for you my precious, beautiful, brave baby girl. I love you Angel Child! Jane is a wonderful blogger who writes about living through pain. She so eloquently writes “Not writing about how to grasp joy – just about trying to find joy through the labyrinth of pain. Because if I don’t keep joy in my sights, I will drown. It is about the space – like a sunlit meadow – beyond pain that one can reach – or grasp – or glimpse. A place of peace while pain drums in the background. Why try? Because if I do not, what is the point at all? I hope you accept this award! 2 http://grannyscolorful.wordpress.com/ Gloria lost her son, Tommy, when he collapsed at the beach (Myrtle Beach, S.C.) whilst playing with his little son, Taban. He died with little Taban near him. Tommy had 2 blockages in his heart that no one was aware of. 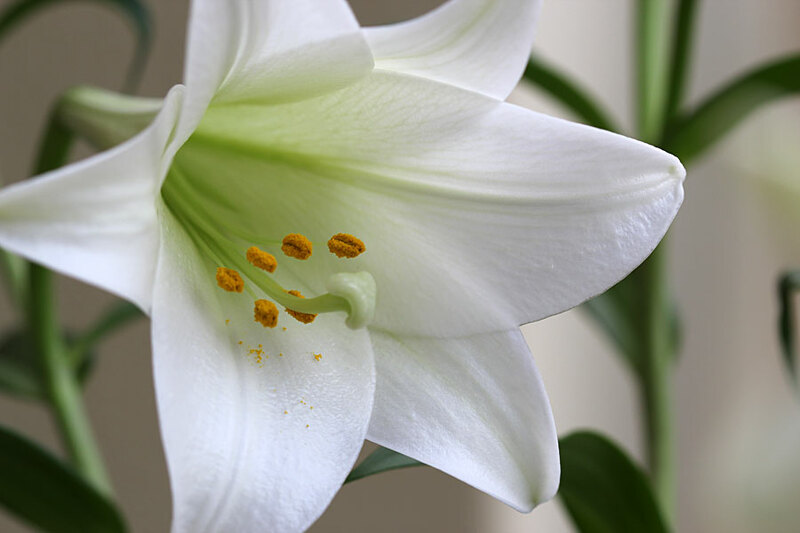 Gloria writes about her precious son Tommy and her grief. Gloria has become a friend and has been such a source of encouragement and understanding. Gloria has 1236 followers and yet she finds the time to read my blog and comment on my blog. Thank you so much for caring!! You are an amazing person! Gloria recently published her book. Good luck with the book dear Gloria. Peter Wiebe has closed down his blog. Yet I am compelled to nominate Peter for this award. I once wrote to Peter “I envy you your faith and peace.” Peter prays for me and I am so grateful for that. How do I know? I know because he still visits my blog and continues to encourage and support me. Peter has become a wonderful cyber friend. I am grateful for the healing that he found. Thank you Peter! Shirley is a brave mother fighting for justice after the suspicious death of her beloved son, Raymond. She is fearless! This lady is selflessly fighting for justice, not only for her son but for other innocent victims. Shirley is a good cyber friend – always encouraging and supporting! Thank you brave lady. I pray that you will find closure and answers!!! Sandra is one of the bravest people I know. She is dying from congenital heart failure. She writes about her journey with terminal illness, impending death and her concern for leaving her husband Chris behind. She is so like Vic!! As brave, courageous, stubborn and loving! Her blog fills me with so much sadness and yet it gives me an insight into Vic’s heart and mind. I truly hope she will accept this award. Sandra, thank-you for your love, support, advice and friendship. You are one in a million! I wish I could make the same difference in your life that you make in mine. 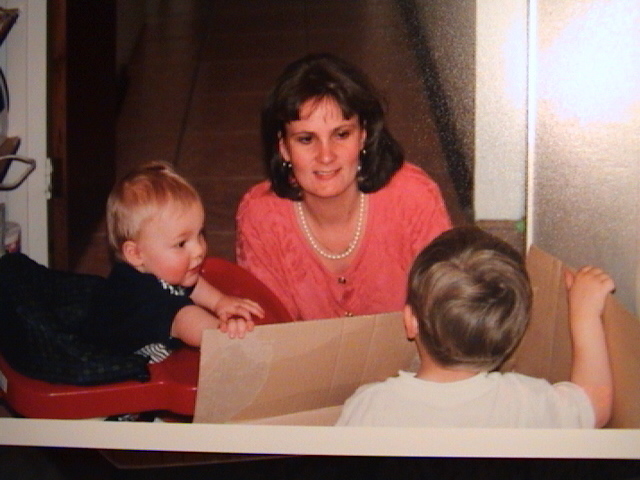 Becky writes about her son, Jason (19), who died in a car accident. In Becky’s own words:…. ”(Jason) A game player – chess (his absolute favorite), video games, volleyball, basketball, board games. Intelligent – studying to be a computer engineer; tutored students in math. He gave great hugs and brightened up a room just by walking into it. A great young man; a wonderful son, brother, friend. In a split second, he was gone and our lives were changed forever. Thank you Becky for your kindness and support. Thank you for your guidance and compassion. 8. http://beebeesworld.wordpress.com – Beebee ia an advocate of Parent Heart Watch, an organization that promotes education on the prevention and care of those with heart issues. Beebee’s 15 year old son died of a sudden heart attack whilst playing baseball. Beebee is a brave mother and has become a cyber-friend. She writes beautifully and courageously. Thank you BB for your kind words of encouragement. 9. http://forphilip.wordpress.com/2013/04/06/they-found-him-day-2-part-2/ Denise Smyth is the loving mother of two children, Philip and Natalie, who are (of course) the great loves of her life. Denise’s’ blog is a brave blog. It is filled with raw emotion and unconditional love. Julie lives on a retired dairy farm in Western Australia with her “99.9% lovely, teenage son”. Julie is a retired lecturer in English and Creative Writing at a local university. Julie’s beloved husband Anthony has cancer, dementia and Parkinson’s disease. Julie blog is a beautiful love story filled with her fears and anguish of seeing her Anthony slip deeper and deeper into another world. Julie arranges wonderful outings for Anthony and includes their friends in his world. I admire her that she is not trying to “hide” her husband from the cruel eyes of the world. Her love is unconditional and inspiring. She writes beautifully and has been a great source of comfort to me. Thank you dear friend for sharing your love and pain with us. Thank you for your kindness and friendship. You are a very special person. This eBook captures his first three years of Lymphoma diagnosis, treatment, recovery, relapse, treatment, and again recovery. He keeps a daily personal journal to capture both the medical and personal things going on during this journey. I find Andrew’s blog to be filled with not only facts but also his“journey”. He is a very gifted writer. Andrew has become a friend. Thank you for your continued support Andrew!! 12. http://behindthemaskofabuse.com Zoe is a wonderfully gifted author who has had two books published on Amazon “Buckwheatsrisk-Abuse Survival”, and a poetry book entitled “If I Could Write my Heart” Zoe has endured dreadful abuse, at every level, as a child. Zoe is working so hard at healing…Zoe has 658 followers and receives lots of comments. Yet, every day there is a “Hug” or “Like” message from her. She has emailed me…Zoe, I appreciate your support and caring. Thank you for taking the time to email me! Rachel referred to Vic as a “China Doll”… How precious was that comment?? I was drawn to Rachel’s blog because she suffers from endometriosis. Vic too suffered very badly from endometriosis… I recall the first time I read one of Rachel’s posts she wrote about the searing pain of endometriosis. I was able to understand Vic’s pain better from Rachel’s blog. Rachel’s blog is about music – as a coping mechanisme. There are real good songs to listen to on this blog. Aarthi dedicated another beautiful poem to Vic and I –http://tothatplace.wordpress.com/2013/04/13/we-were-one/ Aarthi is one of my favourite poets and Vic and I enjoyed her work immensely. Aarthi has become a compassionate friend. Please visit Aarthi’s site (linked above) and read the beautiful poem honouring Vic. Thank you Aarthi for your love, compassion, friendship and sharing your gift!!! Thank you for bringing joy to Vic’s life when she found very little joy in living anymore. I am unable to articulate words for Una’s blog so I will use her own: “When you’re stuck in the quicksand of grief, coming unstuck takes time, tenderness and a loving tribe. You’re feverishly seeking answers. What will help fix the plumbing of my leaky tear ducts? Will I ever feel normal again? How many weeks or months will it take for this awful, gut-wrenching pain to go away? Una has been a source of great comfort to me. Thank you Una! Judy Unger’s son, Jason, was born with a serious congenital heart defect called “Transposition of the Great Vessels.” As with most heart defects, his was “one of a kind.” Jason had surgery when he was two and a half months old. He had another one when he was five. He died following that surgery. It doesn’t seem to matter that I addressed my grief for years and years after my son’s death. Eighteen years later Judy finds it painful to write how it felt to have her beloved son’s soul amputated from her heart and body. Judy writes beautiful songs and dedicated two songs to Vic:- “I know that soon you will leave” and “Never gone away” http://myjourneysinsight.com/2012/12/20/how-will-i-ever-say-goodbye/ Judy is an incredibly gifted illustrationist. She writes beautiful words and songs! She has held my hand throughout Vic’s journey and now mine. Thank you dearest Judy for your love, support and compassion. One day we will meet!! Lots of love and thanks to each and every one of you who has supported Vic and I in our journey. She was grateful that I had found an “outlet” and support in Blogging! 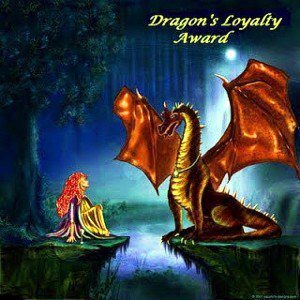 I want to thank Tracy Rydzy – http://ohwhatapain.wordpress.com/author/ohwhatapain/ for nominating me for the Liebster Award…Tracy suffers debilitating, chronic pain but bravely soldiers on with life. I have great admiration for her and her blog. Her blog gave me unbelievable insight into Vic’s pain. Thank you Tracy!! I graciously and humbly accept. 7. Notify your nominees and provide a link back to your post. As for the 7 blogs that I nominate: This is so difficult as there are many bloggers that I follows slavishly. They have become friends. These bloggers have been such a source of support! 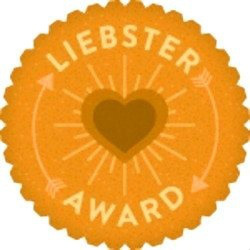 I hope I get another award soon, so I can pass it onto the rest of my favorite bloggers! 2. I smile and laugh when my heart breaks. 5. I love getting awards for my blog. 6. I have very few friends. 7. I love reality television…I am a reality junky. 1) What inspired you to begin blogging? My precious child’s final journey whilst dying. Being Treated Like a Drug Addict and Pain is Not Pretty. 3) What’s your favourite hobby? 4) Cats or dogs and why? I am not an animal person. Cats freak me out. 5) Are you a city person or a country person? 7) Are you a good judge of character? 8) What is your favourite genre of music? 9) Are you a morning person or do you prefer the night? 10) Warm colours or cold colours? 11) 2 things you’d be miserable without for a day? 1) Are you addicted to your STATS? 2) What country do you live in? 3) How many friends would you have on a major birthday party guest list? 4) What is your favourite post? 5) Who is your inspiration when writing? 7) Why do you read my blog? 10) How long have you been writing? – Thank the person who nominated you and link to them in your post. – Share seven unknown things about yourself. – Nominate other bloggers and blogs that you like or admire. – Contact the bloggers you nominate to let them know and to link them back to your post. There are many, many more wonderful bloggers. The nominated bloggers listed above mean a lot to me. Some of them are very ill and others have lost dear ones. Some are an absolute source of amazing information. Aarthi Raghavan http://sickocean.wordpress.com/ wrote a beautiful poem and dedicated it to Vic and I. The above bloggers all have a special place in my heart. I urge you to take the time to visit their blogs. Melba, once again I thank you for your beautiful poetry and this award. I am honoured!! 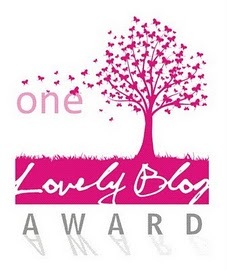 I was recently nominated for the lovely blog award and graciously accept. Thank you Tracy Rydzy for this nomination. http://ohwhatapain.wordpress.com. Tracy has opened my eyes to the world of the chronic pain sufferer. Vic hides things from me because she tries to protect me. I am so healthy and do not know or understand pain. Tracy articulates pain and her journey beautifully and I am grateful to her for sharing her painful journey with the world. It is such a valuable source of information! It has given me an insight into the dark, fearsome world of pain. Thank you Tracy and all the people who I nominated. You and bloggers like Katie Mitchell – http://connectivetissuedisorders.wordpress.com, (who nominated Tracy), have made my world a better place. I thank you all. 2. I only learnt to cook after I got married – the 2nd time! 3. My ultimate career would be to be a spy. 6. I feel guilty because I am so healthy. 7. I am a loner. I hope that you will take time out of your schedule to check out some of these beautiful bloggers. It is truly inspiring. Last night was an absolute night out of hell. The subcutaneous syringe driver was halted as Vic’s tissue is so bad. Vic is now on 100mg Durogesic patches and morphine syrup. Initially it appeared to be an okay solution. Then the nausea started…. The pain steadily increased to absolute intolerable levels by last night. Yesterday morning Vic was great! She obviously still has some of the intravenous morphine in her system. (I also gave her extra morphine syrup as a precaution). She went to breakfast with her friend Angela and had a wonderful time. She glowed when she got back. Gill, my BFF, popped in for a cup of tea and was amazed (once again) at how well Vic was looking. Madam was even wearing a shoe with a little heel (which we made her take off). In the afternoon Vic started looking grim. She was nauseous and suffering from abdominal cramping. Her tummy was distending. By 10pm last night Vicky was sobbing with pain. By 11pm she was vomiting uncontrollably. She has severe intestinal pain and I believe she fractured a vertebra with the vomiting. When I arrived at home Sr Ciza from Hospice was here. She had given Vic a morphine injection and an additional 25mg Durogesic patch. Vic was already looking so much better. Ciza encouraged me to get a night nurse to assist me… She had written a motivational letter to the medical aid without my knowledge. I don’t think I am ready for that yet. Whilst she was vomiting last night I thought of how quickly she “crashes” and how the good times have almost disappeared. Yesterday morning Angela actually looked at me with a question mark in her eyes when Vic said she wanted to go out for breakfast. I nodded my “consent”. You see I had just read a comment from an incredible brave lady. The concept of illness as a way of telling you to slow down is frustrating, as I have always lived life in the proverbial fast lane. Since my first surgery, my life has basically come to a screeching halt. Any living I do is now in the slow lane, sometimes I never even make it off the shoulder. I think one of the most difficult aspects of pain, especially during a flare, is the comorbid (I have to use my expensive Master’s Degree vocabulary sometimes) depression and mood swings. It’s hard to deal with the slow down. I mean, generally, this is something that comes with age and is a natural part of life, but when it happens at 33, how the heck do you reconcile that? Before “all this” I felt so strong. I felt like I could take on the world. I used to be busy everyday, all day and the craziness of my schedule was like a high. Now, I have maybe a quarter of that activity, some days, I have none. The worst part about slowing down is that the pain slows down my body, but not my mind (thankfully), so in my head I still feel like the woman who can go all day, do it all, run around all day and still have energy left to cook dinner and clean the house. Nowadays I get up at 1030am on a good day, workout and do maybe one chore, and by the time I am done I want to cry from pain and exhaustion. But I am still me. I refuse to let the pain change who I am. Sometimes the slow down causes resentment. I get angry that those around me have a life and are busy and that adds to the mood swings and depression. The weekends are the hardest because I want to do so much more than I realistically can, yet I watch friends and family run from event to event with no need to stop and rest. For me, a trip to Wal-mart requires a rest. I wish I had understood Vic’s pain-filled world earlier. I am so sorry for getting angry with her for trying to live. I wish we had more time.